A Duo with a passion for Jazz, Blues, beautiful Ballads and all things that Groove! Interpreting & blending old favourites with new, original material - a feel that's infectious. 'Slave to the beat' is a funky acoustic groove with bass and guitar bouncing off each other, fun lyrics about music being our heartbeat. Adam Rudegeair is a Melbourne-based piano player/songwriter. Raised on jazz and becoming a funk autodidact as a teenager, Adam Rudegeair's music is infectious and addictive. 'Deja Voodoo' by Adam Rudegeair features the suave vocals from Henry Manetta. Infectious and quirky, this track will make you feel voodoofied. An old Tin Pan Alley song , about Tin Pan Alley. In the 1920s and '30s songwriters created their own world there through song: surreal romantic mythology! I first heard Bing Crosby sing this tune, and later Tiny Tim. The melody is beautiful and the lyrics are amazing and surreal. Having won an ARIA Best Jazz Album Award for their collaboration with James Morrison in 2010, Australia’s leading a cappella vocal quartet The Idea of North, return to their roots. The track is instrument-free, upbeat and catchy. A concert repertoire and songs that are requested time and time again by their fans. Maddy Hay is dazzling audiences and critics with her sophisticated compositions, celestial voice, vivid imagination and unique blend of Indie-Pop, taking her musical talents in exciting new directions. Tatu Rei are a 6 Piece Brazilian Jazz, Bossa and Samba outfit from Melbourne playing some of the hottest world music currently coming out of Australia. 'Forte' is the title track off Tatu Rei's second album. Featuring a string quartet comprising players from the Melbourne Symphony Orchestra and the Victorian Chamber Orchestra. Fusing Bossa Nova with an inspiring classical performance from some of Australia's best, this song represents the Worldly appeal of this Melbourne based group. Other tracks by Tatu Rei: Não Quero Prozac, Cadê Meu Buddha! - Pra Que Vingança? Afro Habesha mix outstanding local& Ethiopian born talent performing unique arrangements of popular traditional Ethiopian songs. They combine high energy live performances with traditional Ethiopian music, dance, jazz styles& instrumentation. "Tawusha Enure" is a popular traditional Gurage Ethiopian love song. Musicians include: Daniel Atlaw (keys/ vocals), Seble Girma (lead vocals), Duncan Foster (bass guitar), Nicky Bomba (drums), Ray Pereira (djembe), Leo Dale (alto saxophone/ baritone saxophone), Paul Coyle (trumpet/ trombone). Written by Abonesh Adenew, arranged by Daniel Atlaw. Six-piece Ethio-Jazz instrumental, the J-Azmaris pay tribute to a style of music unique in its sound, skill and scale structure. 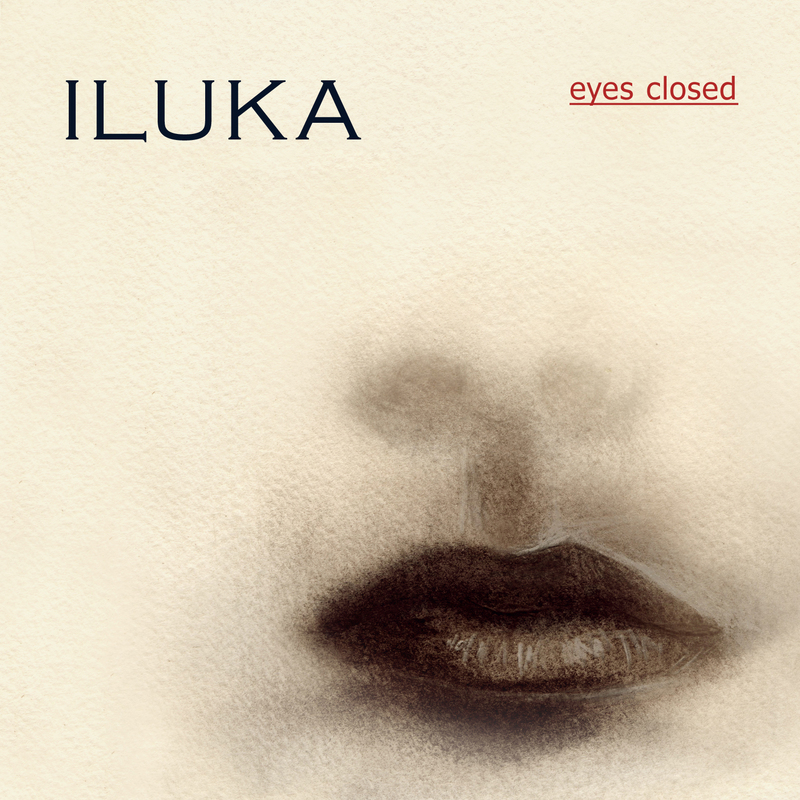 Iluka gives the smoky retro jazz croon a captivating and youthful face lift with a sound that is both passionate and exciting. Eyes Closed speaks of innocent tales, of tea parties and secret gardens ...always just out of reach. Exquisite Australian vocalist Katie Noonan's new release is the beautiful First Seed Ripening an album recorded with her trio Elixir. The Trio also includes Zac Hurren and Stephen Magnusson. Snapshot is the first single from Elixir's new album First Seed Ripening and tells the story of a love Affair in New York ciy. Following their ARIA-nominated "Tell It Like It Is" and appearances at the Tokyo Jazz Festival the award-winning Mark Isaacs Resurgence Band released their new studio recording "Aurora" with bonus DVD. Fifi Mondello is not just your typical singer-songwriter. She is a fresh, new voice from a lost age, reminiscent of a bygone era, while rooted firmly in the present. “It’s True” is a fun, quirky little 60’s flavoured treat - sweet, colourful and decadent. On closer inspection, though, the upbeat, playful facade masks a lost soul navigating the fall-out from a failed love affair. Defiant, joyous and uncompromising, “It’s True” celebrates overcoming adversity, and never settling for second best. In 2010, Bird’s Robe conceived the first in a series of collaborative projects combining the talents of various musicians working in Sydney’s experimental / progressive rock music scene. It may not live up to its name, but this track is the definitive example of collaboration in action. With its jazzy melody evoking Frank Zappa circa 'Hot Rats' it settles in comfortably before giving way to a crunching rock outro worthy of the best prog bands around. Whimsical, exhilarating. Topology, Australia’s most surprising band, creates original work across many genres. Artist-in-residence at the Brisbane Powerhouse, Topology brings out the full potential of 5 musicians comprising saxophone, strings and piano. Gandhi (introduced by Nehru at Gandhi's funeral) talks about his spiritual views, accompanied by tanpura, tabla and slide guitar to emphasise the melody in his voice. This album is a musical meeting between two generations of Australian jazz saxophonists - Ades a master craftsman, and Keegan an emerging voice, sharing a deep musical affinity. Panchan Kat is taken from 'Matt Keegan Trio Meets Dave Ades' out now thru Vitamin Records. It is a musical meeting between two generations of Australian jazz saxophonists - Ades an established master craftsman, and Keegan an emerging voice on the national scene. The Daniel Gassin Sextet's debut CD has a freshness and drive usually reserved for a live performance. The tight ensemble playing giving voice to Gassin's compositional and pianistic skills. Named after its 7/8 time signature, this was initially written and performed in 2009 as a trio piece, and later arranged for the Sextet prior to recording the album. Featuring Mike Story on bass with some dynamic variation from the horns between stating the theme and backing the piano solo. Guitarist & composer Mastaneh Nazarian creates original pieces for contemporary jazz trio, exploring new forms and textures. Beware of the twisted, the unusual and the quirky! This piece was composed as a vehicle for trio improvisation in a relaxed swing setting. It is a jazz waltz with lots of unexpected turns and spins. The introduction and ending contrast the mood of the rest of the piece and create a frame for viewing the cyclical inner portion.